A good SEO specialist is a Professional who’s ability is focussed on the target and knowledge on how to make it happen! I won’t boar you with 10 yrs of experience in this and degree in that, what really matters is the skill. I want to give you a little example of how i work, and why every detail is important. You can read my Bio below. In SEO it’s all about being one step ahead of others. Pages with well written articles and well thought keywords tent to be slow, due to pure coding or not optimized images. You probably know the importance of keywords; one important thing which is left behind is the ALT tag. It helps the Google to determinate your images keywords. If you don’t include it, the search engines won’t know what is your picture about – so people who are interested in certain keyword, won’t see your picture. One of common mistakes among SEO practitioners is the anchor text not being relevant to the page it links to. (the clickable text in a hyperlink) In case if it is not relevant, the Google will see it as a potential spamy link, what can affect the page’s ranking. Every page is different and requires attention in different areas, but one thing they all have in common – You need a good builder in order to build a strong house! My knowledge starts from the deep understanding of the network itself, down to the Do’s & Don’t of every well build home page, up to the knowledge and usage of the latest High End applications. The secret of my success lays in my never ending drive for knowledge and being up to date with the latest market trends! Do you want to find out something new about your current page? Do you struggle with an issue you cannot solve? Are you building a new page, and need advice? 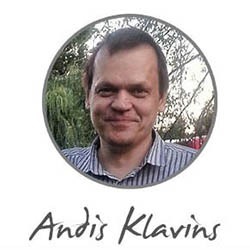 My name is Andis. I use to work in SEO and SMM industry for more than a decade. I write this blog to help people achieve better results for their web projects by sharing my experience and experiments.